Igniting Passion in God’s People to Study His Word & the End Times. God has warned the nations about dividing Israel, “I will gather all nations, and bring them down to the valley of Jehoshaphat, and will plead with them there for my people and for my heritage Israel because they have scattered them among the nations, and parted my land” (Joel 3:2). God’s red line, the line that thrusts the world into the seven year Tribulation, occurs when the nations agree to divide Israel. When Antichrist and Israel sign the covenant to divide Israel (Dan. 9:27) it triggers the final seven years. As a result of the Two-State Agreement, God will draw the nations into the Valley of Jehoshaphat for the battle of Armageddon because they scattered the Jews (Kicked them out of the West Bank) and divided their land (created two-states from the single Promised Land). It’s worth noting that Jesus prophesied Israel would face two danger zones in the end times: East Jerusalem and the West Bank (Matt. 24:15-16). We must be in the end times! The nations are demanding Israel give up the West Bank for the State of Palestine and East Jerusalem for their Capital. In the lame-duck, final days of his presidency, President Obama has been busy scheming how best to stab Israel in the back before he left office. His sinister scheme has now come to fruition no matter how hard he and his anti-Semites pretend that they didn’t want to do it. Unfortunately, he did more than just stab Israel in the back. He stabbed God in the back by calling His Word a lie and saying that the West Bank, including East Jerusalem, the Temple Mount and the Western Wall, belongs to the Palestinians and not Israel. Do these people really think that creating a radical Islamic State, side-by-side with the Jewish people will bring peace? The president also stabbed every American in the back by exposing the U.S. to the judgment of God for Mr. Obama’s deliberate act of revenge (Obad. 1:15). He stabbed the world in the back by making it a more dangerous place and dooming the armies of the world to destruction at the battle of Armageddon. He stabbed the Palestinians in the back because they no longer have to negotiate with Israel. Instead, they will have to face God’s judgment in the Valley of Megiddo and be defeated on the battlefield (Rev. 14:14-20). The president also managed to stab Donald Trump in the back by making the Middle East worse than ever and harder to solve. The president even stabbed himself in the back by doing something that the Bible clearly says will come back on him (Gen. 12:3). There’s plenty of evidence throughout history confirming God’s foreign policy towards Israel. Simply put, if you bless Israel, you’ll be blessed. If you curse Israel, you’ll be cursed. Hang on America! Sovereign Israel or Occupied Territories? 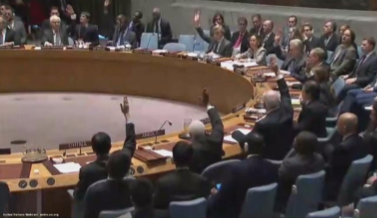 The UN Security Council on Dec. 23, 2016 demanded that Israel immediately and completely cease all settlement activity in “occupied Palestinian” territory. It said Israel’s settlements are not legal and they are putting the two-state solution in jeopardy. News-flash, Israel is not “occupying” Palestinian territory… they own it! The way God sees it, He gave the land to Israel and the Palestinians are the occupiers (Deut. 32:8-9). He knows the Palestinian Authority came into being in 1967. He knows that in the history of the world there has never been a Palestinian state and there will ultimately be one Jewish State not two when Jesus returns and deals with Israel’s enemies for rejecting His will. President Obama could have vetoed the resolution, but he contributed to its passage by having the U.S. Ambassador abstain. His decision to not vote was a decision to let it pass. When these things begin to take place, straighten up and look up! – Lk. 21:28. It’s important to note that Prime Minister Netanyahu said, “We do not accept, nor can we accept, this resolution.” As prophesied, this implies Israel will face more isolation and more serious problems from the nations in the future. The prophetic clock is ticking louder as a result of the UN vote against Israel. It is a fulfillment of Zechariah’s prophecy that “Jerusalem will become a heavy stone” for the world (Zech. 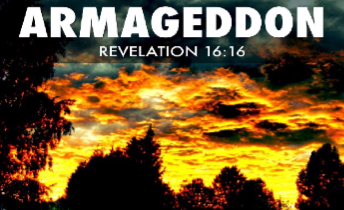 12:2), a major sign that the Tribulation period is getting close, and by implication… the Rapture is not far off.